David Gauke MP: What does Labour's 10p retreat tell us about Gordon Brown? David Gauke MP, a Conservative Treasury spokesman, reflects on the 10p row that culminated in today's Prime Ministerial U-turn. First, he was a man of principle who had devoted his life to helping the poor, just as his father had done. Second, he was a great political strategist, constantly thinking three moves ahead of his opponents. No one can make those claims now. No consistent, principled supporter of the low paid would propose a tax increase targeted at the low paid. No master strategist would have put himself in the position of trying to force this measure through the House of Commons three days before local elections. The most striking aspect of Gordon Brown’s behaviour throughout this episode has been the extraordinary state of denial. In March last year, in a hearing held by the Treasury Select Committee, Michael Fallon pressed the then Chancellor on the point that there would be 5.3 million households that lost out. In evasive and misleading evidence (so misleading, in fact, that the independent Statistics Commission chastised Gordon Brown for it – see here), the then Chancellor refused to accept the 5.3 million figure, even though his own official had confirmed it the previous day. ‘At the end of the day I do not think we will see the effects that you are saying’ he told the Committee. David Gauke MP: Why should dishonest or incompetent MPs be secure until the next General Election? 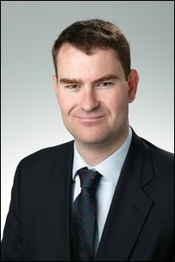 David Gauke is MP for SW Hertfordshire and a member of the Conservative Treasury team. The letter to the Daily Telegraph on Friday from 27 members of the 2005 intake of Conservative MPs, including myself, proposed that consideration should be given to introducing a 'recall mechanism' for MPs. It has stirred up a fair amount of debate on ConservativeHome and elsewhere, which was the intention, but it might be helpful if I expanded on some of the issues it raised. David Cameron has spoken on a number of occasions, including this weekend, about how public faith in our political institutions is ‘draining away’. He is right and this will not end by us just hunkering down and hoping the mood will pass. One of the reasons there has been a breakdown in trust is that we politicians appear to be a privileged class who live by different standards to everyone else. For example, once elected, we are effectively unsackable until the next General Election four or five years away. For most people, a failure in performance, let alone probity, would jeopardise their employment in a much shorter timeframe. MPs may be suspended but, unless they are declared bankrupt or imprisoned for twelve months or more, their job remains protected for the rest of the Parliament. Of course, there are good reasons why Parliament should not have the discretion to expel an MP. We MPs hold our position as a consequence of the decision of our constituents and it is an important democratic principle that only our constituents should have the discretion to remove us from that position. The electorate giveth and the electorate - and only the electorate - taketh away. David Gauke, MP for SW Hertfordshire, says Gordon Brown and his "Chancellor" Alistair Darling make for a dithering, directionless double-act that is damaging the country. The point of Alistair Darling was always supposed to be that he was a ‘save pair of hands’. He was seen as unobtrusive and inscrutable and had held a number of Cabinet positions without attracting much adverse attention. It was not a Ministerial career with many notable achievements but there were even some who considered him quietly competent. It was a reputation he lost in the final months of 2007. As Chancellor of the Exchequer, he has faced three major challenges – Northern Rock, HMRC’s data loss and the capital gains tax fiasco – and the response in each case has been one of indecision and delay. The changes to CGT are the clearest example, in part because this was a crisis entirely of his own making. When Mr Darling announced the abolition of taper relief in the Pre-Budget Report on 7 October 2007, he united business in opposition to the plans. Within weeks, Gordon Brown was briefing journalists that there would be a partial U-turn and on 27 November, the Chancellor told the CBI that he was ‘listening to business’ and that he would report back to Parliament before Christmas with new proposals. As it turned out, however, Mr Darling was forced to make a statement to Parliament before Christmas at which point he declared that he was not in a position to announce any changes to CGT until the New Year. David Gauke MP, a frontbench Tory Treasury spokesman, updates ConservativeHome readers on his continuing campaign to expose Gordon Brown's misuse of statistics. Earlier in the summer, I wrote an article for ConservativeHome setting out why I thought Gordon Brown had broken his own rules on statistics and, as a consequence, I explained that I had complained to the Statistics Commission. It was an admittedly rather techie article but made an important point about how Brown works. It is now time for an update. Last week’s Sunday Times covered the conclusion of the Statistics Commission investigation under the headline: “Watchdog raps Brown over use of statistics”. The Statistics Commission is a serious, sober-minded organisation which does not seek to court controversy. But, in a carefully worded letter, its criticisms of Brown’s use of statistics are damning. The incident is a timely reminder that our new Prime Minister is no fresh start from the Blair era of spin but a slippery manipulator of statistics. This time, however, he has got caught. David Gauke MP: Has Gordon Brown broken his own rules on statistics? David Gauke is Conservative MP for South West Hertfordshire and a member of the Treasury Select Committee. Has Gordon Brown broken his own rules on statistics? I think he has and I think it is both important and revealing. As with most matters involving the Chancellor, this is a matter of some complexity but, if you will bear with me, I think Gordon Brown may have got himself into some difficulty. Last month, I wrote a piece outlining the various techniques Gordon Brown uses in order to answer (or avoid answering) difficult questions. As a case study, I examined the evidence the Chancellor gave to the Treasury Select Committee, of which I am a member, following the 2007 Budget. So you think Gordon Brown is a bit sneaky? For the past two weeks, the misleading way in which the Chancellor presented both his first and last Budget has been headline news. Clearly, a Brown Budget Statement is designed to obtain a cheer from gullible Labour backbenchers and not to provide a fair summary of the Budget measures. However, if you want to appreciate the full range of evasions and half-truths employed by the Chancellor, examine his evidence to the Treasury Select Committee. After every Budget and Pre Budget Report, the Chancellor is cross-examined by the Committee. It should be an opportunity for those of us on the Committee to scrutinise the Chancellor’s policies in detail and, occasionally, it is. But, more often, it provides a lesson in how Gordon Brown avoids answering the question. His last evidence session was on 29 March, 2007 and here are a few examples of how he does it. Unsurprisingly, Gordon Brown dismisses the opinions of his political opponents. However, respected academic institutions, such as the Institute of Fiscal Studies, fair little better. For example, the IFS says that, in order to meet its child poverty target, the Government will need to spend an additional £4 billion a year on transfer payments. Not true, says Gordon, their assumptions about improved employment rates are wrong. The tax changes in this year’s Budget will result in about 5.3 million households losing out, say the IFS. A Treasury official even confirmed that this was the case in evidence to the Treasury Select Committee. But Mr Brown refused to accept the figure – an improved take up of working tax credits will make all the difference, says the Chancellor. Let us take the central electoral issue of public spending plans. At the last General Election, Gordon Brown claimed that the Conservative spending plans would result in a cut of £35 billion. This figure was reached by assuming that Labour’s public spending would remain constant as a proportion of GDP. In contrast, Conservative spending would have resulted in a fall in public spending as a proportion for GDP and the difference between the two, £35 billion in 2011-12 prices, constitutes a ‘cut’. Now that the Government is scaling back its spending plans, the difficulty for Mr Brown is that, as the IFS has pointed out, by applying the same logic, the Chancellor has also just announced a £12 billion ‘cut’. When this was put to him, he dismissed the IFS analysis as ‘wrong’ and a ‘mistake’, although it is not clear why. Only Gordon understands these things. By the way, the IFS stands by its assessments on all three issues. David Gauke is a new Conservative MP and a member of the Treasury Select Committee. It would be fair to say that I am not close to Gordon Brown. Given that I am a Conservative MP, and our limited dealings have not been entirely warm, it is unlikely that the Chancellor would confide his deepest thoughts to me. Nonetheless, I have a hunch that I know one of the Chancellor’s biggest secrets. The secret is that, immediately upon becoming Leader of the Labour Party and Prime Minister, Gordon Brown will call a General Election. There are very good reasons for him to do so. First, the political reasons. Most leaders have a honeymoon period. A leader’s authority with his party tends to be at its highest immediately upon being elected, the party itself tends to receive a great deal of publicity and much of it will be favourable. In all likelihood, the election of Gordon Brown may give the Labour Party a short term boost. Obviously, Gordon Brown’s record and personality will be at the centre of any election campaign held immediately after he becomes Labour leader. Many Conservatives will be pleased (and Blairites concerned) at the prospect of this but the Chancellor is not lacking in self-confidence. He will welcome an Election that could be characterised as a “Referendum about Gordon”. He assumes he would win comfortably on those terms. An early Election would discomfit the Conservatives, too. The Election would occur in advance of boundary changes that go a small way to counteracting the current imbalance in the distribution of seats. It also gives David Cameron less time to advance his methodical reform in the way the Conservative Party is perceived. Candidates will generally not be in place until the Autumn of this year, the policy commissions will not report until the Summer of next year and party policy is unlikely to be finalised until October 2007 at the earliest. Rightly, the Conservative Party is avoiding our past mistakes of trying to find quick fixes. But we are vulnerable if Brown decides to go early. Would there be a price to be paid for Gordon Brown in cutting and running? My suspicion is that there would not be. In truth, many people would feel disenfranchised if the Prime Minister was changed without there being an Election. It is not difficult to imagine Gordon Brown, who has made noises about restoring trust and accountability and changing the relationship between the executive and the public, making a virtue of seeking his own democratic mandate. This would be frustratingly unfair because the reality is that Gordon Brown would be cutting and running, which brings me to the second set of reasons why he may go early – the economy. Many an opposition politician has proven to be wrong when predicting the imminent decline of the British economy in recent years. However, even on the basis of the Treasury’s own forecasts (which have been consistently over-optimistic in recent years), the state of the public finances in the period 2007 to 2009 will be precarious. Constrained by the “golden rule” (however discredited), the Chancellor has very little room for manoeuvre. He is already committed to a very tight comprehensive public spending round in 2007 and, if as many observers believe, growth falls below Treasury forecasts in the next three years, he will have no choice but to put up taxes. Robert Peston’s fascinating book, Brown’s Britain, contains a section on how Gordon Brown was determined not to find himself in the position of previous Labour Chancellors of putting up taxes and cutting spending in the run up to a General Election. As a consequence, in 1997 the Chancellor was determined to control public spending and to increase taxes, enabling him to have a war chest available for the next General Election. In 2001, he again increased taxes in his post-Election Budget. This year, however, the tax increases are relatively modest. By 2009, it is difficult to see that there will be a war chest but a General Election will be fought in the context of restraint in public spending and possible tax rises. The Chancellor has got his electoral and fiscal cycles out of sync. If this analysis of the economy is right, it further explains why the Chancellor is keen to get the keys to Number 10 sooner rather than later. Not only is there the residual fear that Tony Blair is going to let him down again, but he will want to become leader of the Labour Party before he has to make too many unpopular decisions and start alienating both the public as a whole and the Labour Party selectorate. The word “eventually” gives the answer some ambiguity, but the fact that he mentions that, as part of the process of him becoming Prime Minster, this will be “a matter for the country” is significant. It is very difficult to reconcile Gordon Brown being Prime Minister for a couple of years before calling a General Election (which, at the time of writing is the received wisdom) with this answer. At a recent Treasury Select Committee hearing, I suggested to the Chancellor that he would call a snap election on becoming Prime Minister. Of course, I did not get a straight answer, but his response did not exactly constitute a forceful denial. Anything might happen in the next few months and election timetables are notoriously unreliable. But don’t be surprised if we are on the campaign trail again within the next 18 months. Related articles: David Cameron wonders if there'll be a 2008 General Election and David McIvor worries about whether we'll have candidates ready for a snap election.